EA has announced the titles we'll be playing when the Windows Phone 7 platform lands later this year. EA Mobile was announced as a partner for Windows Phone 7 by Microsoft at the launch of the new platform on Monday, and now the key games to populate the brand have been unveiled. 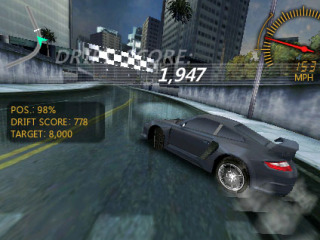 Among the top games are Need for Speed Undercover, Tetris, The Sims and Monopoly, all re-designed for the Windows Phone 7 platform. All of the games are Xbox Live enabled, meaning you can get achievements and challenge your friends online to games from the comfort of you sofa/hammock/rocket ship. "Together EA and Microsoft have created some of the definitive console games of this generation and we're excited to bring that powerful alliance to Windows Phone 7," said Ron Pessner, general manager of Xbox LIVE mobile, Microsoft. "This is a new and major games platform for Microsoft, and we look forward to the amazing games EA will deliver over the coming years." The release date for the games has been set for 'autumn', but we assume that as we've seen The Sims demonstrated already, it's not going to be too far after the 21 October launch.